Samsung Electronics has now launched its revolutionary device – Samsung Galaxy J7 Core in Pakistan. 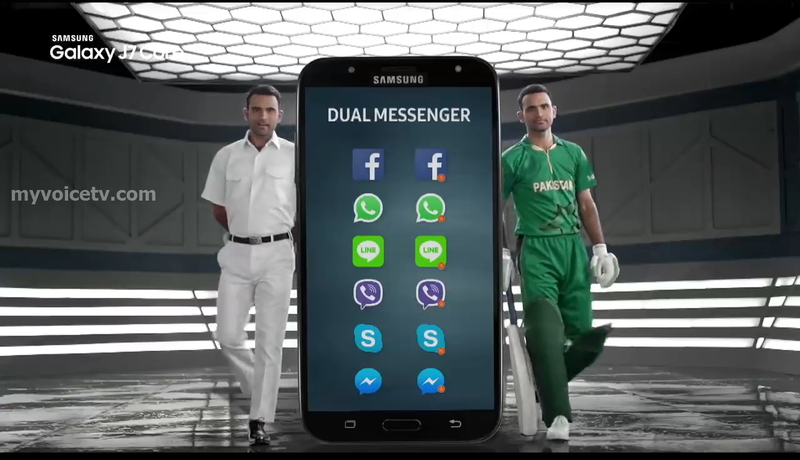 This prestigious launch event was held on 28th August 2017 at local Hotel in Lahore and was attended by Fakhar Zaman, the cricket star along with numerous famous celebrities and Samsung dealers. With the objective of expanding the Galaxy J7 family, the J7 Core is the perfect mid-ranging smartphone for the consumers. The value of the Galaxy J7 Core lies in its stunning design, its advanced features, and functions that offer more convenience than ever before. With its 5.5″ display and crisp HD resolution (1,280 x 720 HD), the Galaxy J7 Core brings out every last detail and offers an incredible viewing experience. The Galaxy J7 Core makes it easy to take gorgeous, bright photos under all sorts of conditions. Equipped with a 13MP rear camera you can capture spectacular, true-to-life images in magnificent detail. When you’re in a low light condition, the F1.9 lens lets in more light so you’ll still get bright, clear photos. The 5MP front camera in the J7 Core lets you take brighter selfies with the front LED flash, whereby enhancing your photo’s with the smart selfie features and the beauty mode. The elegant design of the J7 Core reflects close attention to every detail. The large display brings immersive entertainment to a whole new level. The phone’s new time-saving and life-enhancing features will become an essential part of your daily routine. The Galaxy J7 Core truly makes one’s life easier and more fun, by adding all features on ones finger tips.